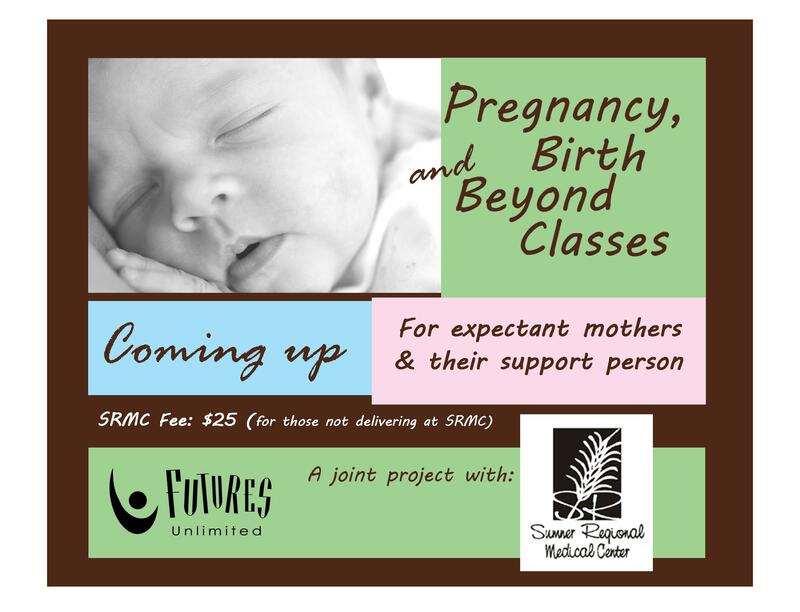 This class is open to the public and will cover labor and delivery, keys for successful breastfeeding, car seat safety and Sudden Infant Death Syndrome (SIDS). The instructor is RN, Melissa Provost. There is no charge for families who deliver at Sumner Regional Medical Center. Please click HERE to view a flyer with upcoming dates and times for this very informative training.